Kildare are in flying form heading into this weekend’s Leinster Football final where they face their toughest challenge yet – the All Ireland champions, Dublin. Kildare have every right to believe they can triumph after an impressive season, reaching their first final in 8 years allied to a strong league campaign. Their journey began in Tullamore in June where they produced a convincing victory over Laois. The semi-final saw Cian O’Neill’s men face off against rivals Meath in a game that no team could afford to lose. Kildare came out on top however as Meath were no match for The Lilywhites. This year has also seen Intersport Elverys come on board as proud retail partner to Kildare GAA where our passion for GAA is reflected in the fact that we are proud title sponsor of Mayo and Tipperary as well as retail partner to EIGHT other inter-county teams. 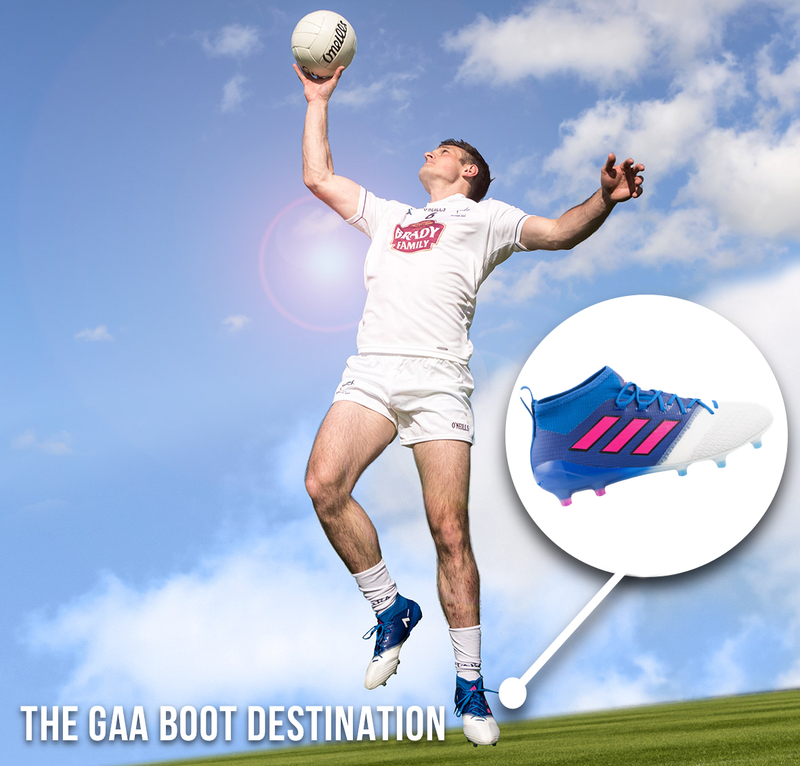 We have become the destination for boots for this Kildare squad, supplying them with the latest and greatest boots to suit their style of play. We understand that having the right footwear is an important part of any inter-county player’s game as these players strive for greatness on the field. Kildare’s commitment and dedication to the game got them to where they are and we’re proud to be backing them on their journey. ICYMI: Check out Kildare GAA captain, Eoin Doyle speaking to us about previously facing the Dubs!